Selfpac3D is pleased to announce the launch of a new self-paced learning course, Certified SolidWorks Associate (CSWA) Preparation Course. This course is intended to prepare participants to confidently take and pass the CSWA certification exam. Participants of this course will learn the essential skills in SolidWorks 3D design software, required to handle the CSWA certification exam. The Certified SolidWorks Associate (CSWA) Preparation Course, was originally a classroom-based, instructor-led course that prepared hundreds of students for the CSWA exam. This tried and tested course, is now made available as a self-paced online course, so that more students can benefit from it, at a fraction of the cost. This course is an intermediate level course, and assumes that the participants already have a basic knowledge of part and assembly modeling techniques in SolidWorks. 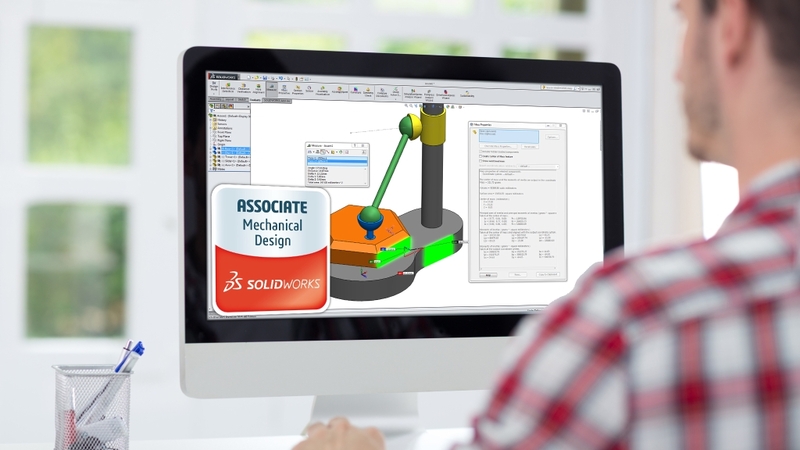 Participants wanting to learn foundational skills in SolidWorks, should sign-up for, and complete the “Becoming a Certified SolidWorks Associate for Beginners” course, before taking this course. The Certified SolidWorks Associate (CSWA) Preparation Course, is now LIVE on Udemy, and is being offered at a promotional launch price. Click on the link below, to claim the 85% discount off this course.